I started running seriously about three years ago to train for my first half-marathon—before that, I was a casual, short-distance runner, and ran mostly on the treadmill while watching The Food Network. My biggest complaint about long-distance runs was the boredom—by the end of mile one I was looking for anything to distract me, so I needed energizing music or a podcast. The issue was, my headphones often were more distracting than whatever I was trying to listen to. 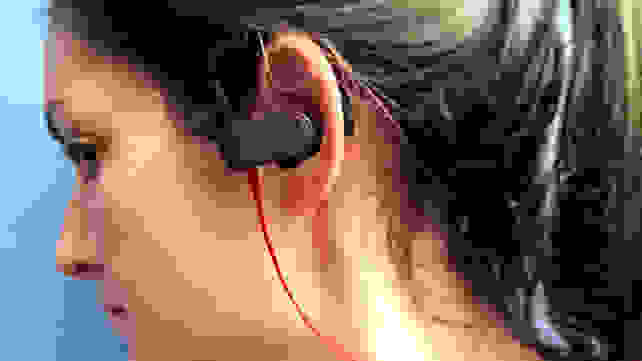 A running pro friend suggested I look for headphones with over-the-ear hooks that would keep the earbuds in place and would overall be more comfortable for my workout. 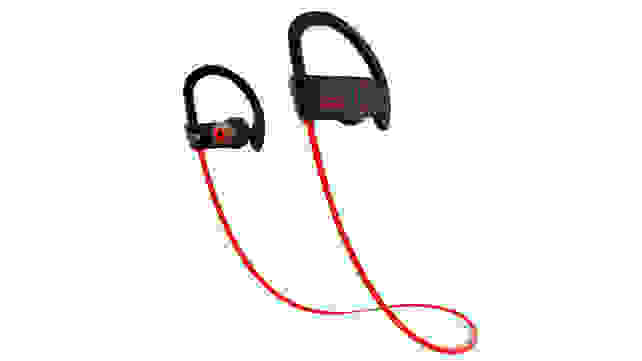 When I found Smart Target bluetooth headphones ($15), my entire running game changed—but that's not to say my search for affordable, comfortable, effective running headphones was an easy one. For some reason, traditional earbuds have never worked for me. The free headphones that come with every Apple device slip out of my ears constantly, and I had a similar problem with any other headphones I bought. As I ran, I had to consistently re-adjust them, and eventually, the distraction and discomfort would turn my training run into a long walk home. I needed headphones with an over-the-ear hook, yes, but they also needed a button to pause music, and tlook like they belonged in the 21st century. However, most of the affordable options looked old-fashioned or uncomfortable, but the ones that seemed sleek and useful were way out of my budget. Knowing my struggle with headphones, I didn’t want to spend too much money on a new pair. 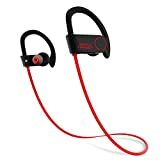 The Smart Target headphones caught my eye because of their high Amazon reviews from nearly 1,500 customers, great price ($15!) and simple design. I’d never used a bluetooth headset before, and was nervous that such a cheap pair wouldn’t have good connectivity, and therefore would mess with my music or podcasts. Still, I ordered them to give them a try. The headphones arrived with three different sized earbud pieces, and like Goldie Locks, I found the size that fit just right (surprisingly, it was the medium-sized buds that fit me best—I had previously thought that I needed the smallest size possible). The rubber ear pieces were soft and comfortable, and with the handy ear hook, they stayed in place no matter how much I moved or sweat. I jumped around my apartment to test them, and then I went for a run. I spent the first 10 minutes adjusting them, mostly out of habit: I expected that they needed constant nudging to stay in my ear. But I realized the hook was keeping them in place. At first, I wanted them to fit snugger inside my ear, but I soon realized it didn’t matter since they were stabilized—what mattered was that they didn’t fall out. I was also pleasantly surprised by how well the bluetooth worked, and how nice it was to go cordless. I realized that my old long headphone cord often got caught on my clothing, and now I could stow my phone out of sight. The no-frills button to adjust volume, pause, and play tracks works well, and as promised, the charge lasts long, and they charge quickly. I can usually fit in four hour-long runs before recharging, and if the battery is low, I can plug them in for 20 minutes while I get ready and there’s enough juice to get through my workout. Of course, if you’re looking for bluetooth headphones that has lots of bells and whistles—including a superior microphone, speaker, or more playback controls—check out the best wireless headphones because these won’t be the choice for you. Because I like to keep my runs simple, I like my headphones to be the same. Though these headphones do have a microphone, it doesn't work very well—friends who call always have trouble hearing me. These are not the headphones I use on planes or at work—I prefer noise-canceling headphones for those activities—but these are perfectly suited to commuting and working out. The only issue I face now: I no longer have a good excuse for skipping my runs.